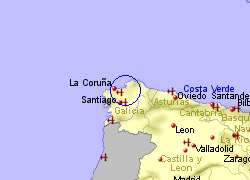 La Coruna airport is located approximately 8 Km east of the city of La Coruna with good access to motorways and major roads to explore this corner of Galicia and the Rias Altas or Rias Gallegas. A bus runs approximately every half hour (every hour at week-ends) between the airport and La Coruna city, costing approximately 1.50 Euros for the 25 minute journey, while a taxi will cost 15-20 Euros during the working day. 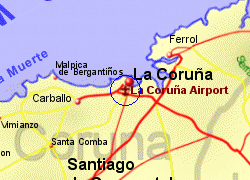 La Coruna airport has 2 cafeterias, 2 shops and 3 ATM's. 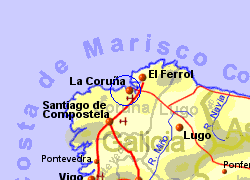 1.1 million passengers passed through La Coruna airport in 2010.